Most women are terrified of the word cellulite. Every woman’s magazine and blog seems to talk about this and it is unfortunate how the issue is made much bigger in scale than it is. Cellulite is uneven fat deposition under your skin, especially around the thigh and buttock areas. It looks lumpy, dimpled and unattractive. Research says that 80-90% of women suffer from cellulite at some point in their lives. There are a lot of easy ways to prevent cellulite and to reduce its effects on your skin. You just need to spend a little time and effort on these amazing home remedies mentioned below. You will find body brushes in natural materials available in every health store these days. Use these to dry brush your skin, especially in problematic areas like thighs and buttocks every day. This helps remove dead skin cells, promotes the flow of blood and prevents lumping up of fat deposits. This is a very effective home remedy to reduce cellulite and to remove excess toxins from your body. What is great is that there are so many body wrap options for you to try out without getting bored. The process is similar to Spa treatments where the body is covered up by sheets to induce heat and to thereby dissolve fat deposits. Starting from coconut oil to green tea extracts, bath salts and clay, there are a lot of diy experience you can have at home with these wraps. This age-old solution also helps with your overall health. 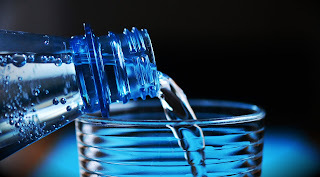 When you drink a lot of water, it prevents fat deposition, keeps your skin hydrated and prevents cellulite from forming. You can also substitute water with fresh fruit juices, tender coconut water, iced tea and other refresher drinks. Scrubs work similar to dry brushing, except that this is highly relaxing for the body and mind too. You can use sea salts, coffee, brown sugar etc. to regularly scrub your body before taking bath. Scrubbing helps loosen fat deposits, improves blood flow and prevents the lumpy skin appearance that people hate. Most people do not check the ingredients in their body products before using them. When you pick chemical laden products, they are adding a lot of toxins to your system. With time, this can lead to skin problems including cellulite. Make sure your body products are organic, safe for use and gentle. 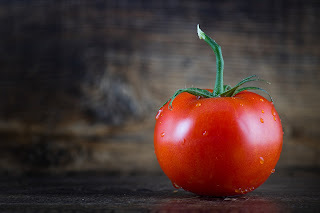 Tomatoes are very rich in lycopene and this is proven effective to break down cellulite fat deposits. You can easily make your own tomato paste mask and apply it on the skin. You can wash off once it is dry. Doing this regularly will show a great improvement. Cellulite is not a life-threatening condition. You can easily prevent it and reduce its intensity by following these home tips. These are cheap and effective alternatives when compared to invasive treatments like laser and surgery.